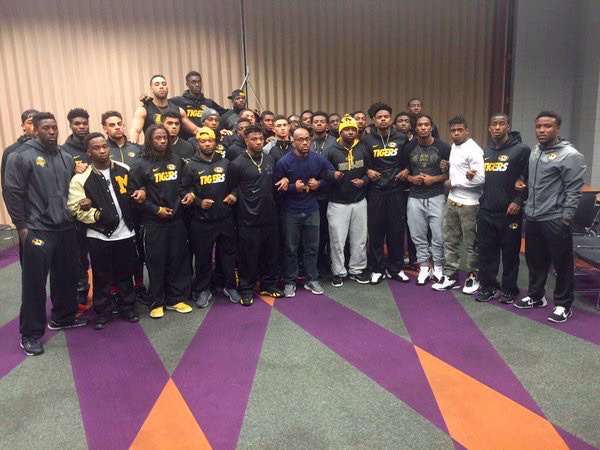 Amid protests from the University’s black football players refusing to play until he steps down to student activist Jonathan Butler going on a hunger strike on October 26 to protest against rampant racism, sexism and homophobia on campus. The University of Missouri president Tim Wolfe resigned from his post this monday morning , amid complaints he was unable to protect black students from the growing of white supremacist attacks and racial slurs on campus grounds. Note: In recent months there has been a spree of black churches being set on fire in the state of Missouri by suspected white supremacists . NEVER GIVE UP BECAUSE OF MISSED SHOTS!! !